To make green investments pay off, policymakers must learn from past mistakes and stop subsidizing polluters, urges Edward B. Barbier. 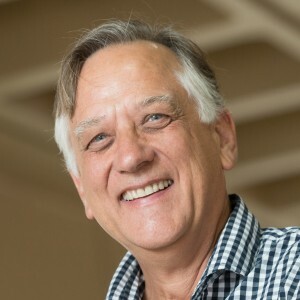 Edward B. Barbier is an economics professor at Colorado State University in Fort Collins and author of A Global Green New Deal (Cambridge Univ. Press, 2010). As the 116th US Congress begins, a coalition is growing around an ambitious Green New Deal. If successful, a new House of Representatives committee would craft a 10-year plan to shift away from polluting industries, embrace green infrastructure and produce 100% of energy from renewables, improving prospects for US workers. Sound familiar? It is. In 2008, in the midst of the Great Recession, the United Nations Environment Programme asked me to write a report that formed the basis of its Global Green New Deal to stimulate economic recovery and create jobs. It aimed to improve the lives of the world’s poor, lessen carbon dependency and reverse environmental degradation. In the decade since, I have watched what worked, what didn’t and why. For the latest Green New Deal to flourish, the US government must first end fossil-fuel subsidies and correct other market distortions that prop up ‘brown economies’ — those that rely on fossil fuels and ignore the environmental impacts. Second, it must finance the new policy sustainably. There were high hopes for the UN’s Global Green New Deal. Between 2008 and 2010, the G20 nations and a handful of other economies put US$3.3 trillion into fiscal stimulus, of which more than $520 billion was devoted to ‘green investments’. This included pollution clean-up, recycling and low-carbon energy. More than 60% of the green stimulus went to improving energy efficiency, with an aim to create much-needed jobs in construction (E. B. Barbier Can. Public Policy 42 (Suppl. 1), S1–S9; 2016). China invested 3% of its gross domestic product (GDP) and South Korea put in 5% of GDP as part of long-term strategies to develop industries around such technologies as solar panels, electric cars and wind turbines. Other economies spent much less: the United States devoted about 0.9% of GDP, with Canada and the European Union investing around 0.2%. Since the global economic recovery began in 2010, there has been scant additional support for this green transition. Meanwhile, China has become the leading producer of solar cells, wind turbines, energy-saving lights and solar water heaters. It aims to be the market leader in fuel-efficient cars. South Korea has also expanded exports from green industries, including an ambitious plan implemented during 2009–13 to create 1.6 million to 1.8 million jobs through green growth by 2020. In most major economies, however, green sectors have largely been left to develop on their own, and remain niche. For example, in the United States, sectors such as renewable energy, pollution abatement, materials recycling and conservation employ just over three million workers and account for 3% of GDP. The brown economy remains pervasive, partly because it is buttressed by market-distorting subsidies. The International Monetary Fund (IMF) estimated the global distortion for fossil-fuel subsidies alone at $5.3 trillion in 2015, or 6.5% of GDP (D. Coady et al. World Dev. 91, 11–27; 2017). Subsidies for agriculture, water and transportation also reward polluting activities and the overuse of resources. Federal and state governments should eliminate harmful subsidies and use pollution taxes and carbon pricing to account for the toll on human health and on natural capital (clean air, functioning ecosystems, and so on). Fees, tradeable permits and other market mechanisms would put a cost on pollution, carbon emissions and excessive resource use. Such green incentives are doubly productive. They benefit health and the environment, and stimulate sustainable growth. By the end of 2018, 46 countries and 25 sub-national jurisdictions were pricing carbon, accounting for around 20% of global greenhouse-gas emissions and raising $82 billion in revenue (see go.nature.com/2bvften). The IMF estimated that removing fossil-fuel pricing distortions would cut global carbon emissions by 21%, reduce deaths from fuel-related air pollution by 55% and raise extra revenue of 4% of global GDP in 2013. Such revenues should be used to finance government investments in greening the economy. These funds could support better infrastructure for renewable energy, more sustainable urban development and research into clean energy. They could also be used to raise the minimum wage, provide payments or retraining for displaced workers, and reduce burdens for vulnerable households affected by the green transition. In short, revenues that come from dismantled subsidies and environmental taxes can be put towards a sustainable and equitable future. The Green New Deal should not be funded with deficit spending. Saddling future generations with unsustainable levels of national debt is just as dangerous as burdening them with an economy that is environmentally unsustainable. Deficit spending is warranted to boost overall demand for goods and services when unemployment rises, consumers do not spend and private investment is down. When that is not the case, efforts to boost green sectors should pay for themselves. Crafting a successful Green New Deal will be hard work. In 2009, the G20 promised to phase out fossil-fuel consumption subsidies, but so far only Indonesia has implemented substantial reforms. Taxes and carbon pricing have always faced stiff political resistance, especially in the United States. Most economies have a poor track record of long-term planning, which will be needed for any green investment strategy. And yet, the US Green New Deal represents the first time a major Western economy has proposed a comprehensive ten-year plan for a green transition. Proponents are correct that we urgently need a strategy to build a sustainable economy. Let’s get it right this time. How is the Global Green New Deal Going?